I always say I don't know how to draw, yet I have taught myself how to draw faces. Guess what, you can draw faces, too! Join me in this online version of my popular in-person face drawing class! 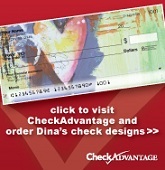 In Facing the Facts, I will teach you how to draw a "Dina style" face by showing you the drawing "formula." We'll go over common mistakes people make and I will show you how I like to draw the features. Then we'll paint the faces with artistic, fun colors and brushstrokes. We'll talk about drawing the ¾ view, too. Finally we'll cover some fun techniques you can try to make your faces even more dynamic and organic, like blind contour drawing and drawing with unusual implements. 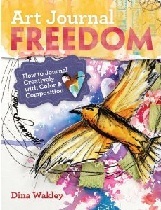 All of the lessons are fully illustrated with printable PDFs. In the accompanying videos, you watch me draw and paint and demonstrate all of the techniques covered. Even if you can't draw, you can learn to draw faces. If I can do it, you can do it! Please note, we regret that we cannot offer refunds because the classes are a digital product. Q: How do I buy a class? A: You can browse the new store and see the descriptions of the classes. To buy a class, put it in your cart. When you check out, you will create a login. Make note of your user ID and password. Q: What payment options do you offer? A: We accept PayPal. You can link your PayPal up to your bank account or a credit card. Q: How do I access my class after I buy it? A: Log in to the store using your user ID and password. A link will appear that says, "My Classes." Click on the link, and you will see the classes you've purchased. You should be able to access your class almost instantly, if all of our programming works right. If not, hang tight and you'll have access within 24 hours. Q: How long do I have to access the materials? A: Forever. I'm not taking them down. I firmly believe that if you buy a class, it's yours for life. All of the materials are downloadable to your computer, too. Q: I took these classes from Get It Scrapped. Can I access them here? A: No. If you've previously bought these classes through Get It Scrapped, you need to access them there. The classes there will be available through December 2012. Please access your account there and download all of the class materials to your computer. That way you'll always have them. Q: I bought a class, can I share it with a friend? Q: I have technical problems! A: Email me and we'll do our best to help (well, my husband will do his best to help, let's be honest, I'm not a technical guru). Note that the classes will work well on your computer with a high-speed internet connection. They are not guaranteed to work on tablets, but we have tested them on our iPad and they worked well. Q: In what language are the classes? A: The classes are in English. There is no written transcript of the videos.